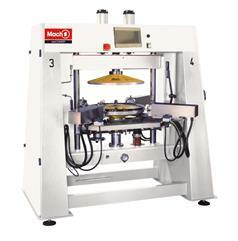 Flexible lacing and tightening machine with individual rim data acquisition and automatic change over. 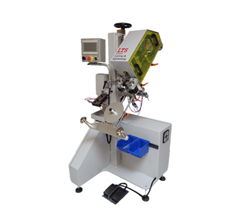 Flexible semi-automatic lacing and tightening machine. 2-wrench wheel tightening and truing machine with manual change-over. 2-wrench wheel tightening and truing machine with semi-automatic change-over. 3-wrench wheel tightening and truing machine with semi-automatic change-over. 3-wrench wheel tightening and truing machine with automatic change-over. Computer controlled manual advanced truer.